Back in 1980, the Company who was the precursor (Marsh® Company) to MSSC introduced the first non-contact drop-on-demand inkjet printer to the industrial market. Our employees bring a vast knowledge of inkjet printers and their operation to assist customers in making the right choice for their needs. MSSC proudly continues this range of product with the simple, out of the box, drop on demand ink jet printer the QM7500. 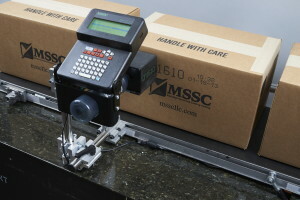 In 2014, MSSC announced the Smart Jet Plus with support for more characters per line and CE approval. In cooperation with HP® who had taken the leap into the industrial market with their ink cartridges, MSSC continues to innovate with the trusted HP45 TIJ2.5 inkjet technology! 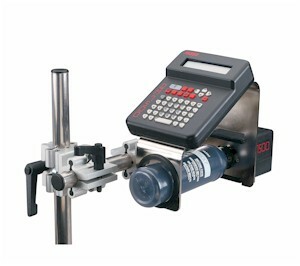 And then....and then....if you prefer contact coding to non-contact coding – our roller coder line is top notch with coders available for continuous or indexing printing for both porous and non-porous substrates. The QM7500 printer is the complete “Mark in the Box” solution — everything you need to begin printing in minutes. The QM1610 offers compact 1- or 2-line printing, support of 15 language fonts, and features at the touch of a button.